COURT SESSIONS: Second and fourth Thursday of each month at 6:30 PM and the fourth Mondays at 1:30 PM. JUDGE: Hon. John Petronko, Jr. PROSECUTOR: Robert A. Ballard, Jr., Esq. The New Jersey municipal court defense attorneys at LS&P Lawyers, have years of experience representing individuals charged with criminal, DWI, and traffic violations in Flemington Municipal Court. Our team of lawyers is experienced in a variety of offenses including driving without insurance, driving while suspended, petty theft, disorderly conduct, harassment, possession of drug paraphernalia, and possession of marijuana among many others. One of our attorneys has specialized training in DWI defense. This includes certifications in the field sobriety tests used by the police when making a drunk driving arrest. At LS&P Lawyers we offer a free consultation. Come in and meet with one of our experienced attorneys to get started on your defense today. Contact us 24/7 at 908-709-0500. People charged with a disorderly persons offense or DWI in Flemington will be tried in the Flemington Municipal Court. A disorderly persons offense includes crimes such as shoplifting, underage drinking, disorderly conduct, petty theft (items valued at less than $200), criminal mischief, or other small crimes. Even though these crimes are dubbed “minor” a conviction can have serious consequences. People who choose to go forward without an experienced municipal court defense attorney often regret it. You need to make sure you have expert legal representation in your corner protecting your rights every step of the way. 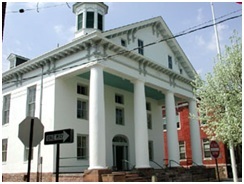 The Flemington Municipal Court is presided over by Hon. John Petronko, Jr. He is experienced in Real Estate, Commercial Law, Business Formation, Estate Planning, Estate Administration, and Elder Law. The lawyers of LS&P Lawyers are experienced and well versed in defending people in municipal courts throughout New Jersey. We are ready to put this experience to work for you. The offices of LS&P Lawyers are available 24/7 for free consultation and are located at 123 North Union Ave in Cranford, NJ 07016. Call us at 908-709-0500.